HYPER BUILD NAIL GEL is thicker in viscosity then the Hyper-Base. This product cures under a UV gel nail light, tack free with high shine finish in only one minute. The primary use for Hyper-Build Nail Gel is for sculpted nails and arches. It can be used in place of, or in conjunction with the Hyper-Base. Many of our professionals prefer the Hyper-Build, because it stays in place longer then the Hyper-Base Nail Gel. The flow characteristics are similar with slower movement. Do not expose this product to direct UV Light the product will cure. You do not want to sit by a window or halogen light or any UV gel light source. Product can be affected by temperature changes. 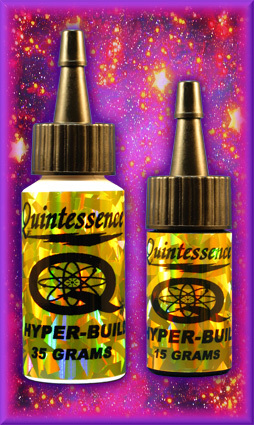 Hyper-Build Nail Gel is available in 15 gram (0.5 ounce) and 35 gram (1.25 ounce) sizes.